Supporting fun and fitness at work in Dallas, Chicago, Seattle, and other major cities. Baseball is a game that seems to unite people all over the world, which means that it can help to unite your staff. A corporate baseball team can be a great way to encourage teamwork and give your staff something to feel proud about outside of the office. The feeling of fun, companionship, and pride that having a corporate baseball team brings can enhance the productivity at work. There are many different reasons why a corporate baseball team is a great idea for your company. If you are looking for something that will help your employees to bond outside of the office while still maintaining pride in the company, then you need to look into starting a corporate baseball team. As an employer, you do everything you can to give your staff a feeling of purpose with their work. A corporate baseball team can enhance that sense of purpose by giving former athletes a chance to play the game once again. There are a lot of people out there who cherish their former glory days when they ruled the high school or college ballparks in the area. With a corporate baseball team, you can help revive those feelings and ignite a whole new level of loyalty to the company. People all over the world are used to turning baseball games into events, and you can use that to your advantage when you have a corporate baseball team. You can get the whole staff involved, whether they are playing or not, in making every game into an event that staff members and their families can enjoy. A summer day at the ballpark watching your corporate baseball team play could be just the kind of regular event that your staff needs to feel better about coming to work in the morning. Baseball is the kind of game that requires all kinds of support personnel to help the team perform its best. There will be plenty of jobs for everyone to do and plenty of ways that you can get the entire company involved. As an employer, and the organization putting up the funding for the corporate baseball team, you can dictate the criteria players have to meet in order to be eligible to play each week. The desire to be on the field each weekend can be strong enough where you would see a drop in unexpected employee absences and an increase in employee productivity. 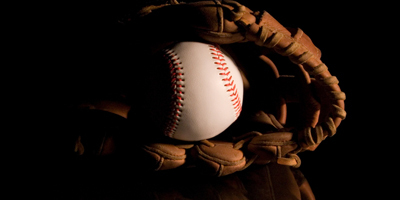 A corporate baseball team increases employee morale and that increases productivity. Investing in a corporate baseball team has a series of unexpected benefits that your company will see on the bottom line. As a business owner, you understand the value of word of mouth advertising. Anything you can do to get your company's name on the minds of your potential clients will definitely increase sales. A successful corporate baseball team creates a buzz in your industry that can turn into more sales. Potential customers who have heard about your baseball team, or who have even seen your team play, will remember your company's name. It is the kind of marketing that you cannot put a price tag on and it will bring you brand name recognition. A corporate baseball team inspires your staff to be competitive and that will influence the competitive nature in the office as well. The best part about a corporate baseball team is that it encourages teamwork and creates a strong desire to outdo the competition. Your staff will work like a team and the goal will be to defeat the competition. Do not underestimate the power of a strong competitive nature in the office. A staff who is proud of its successful corporate baseball team will want to apply that success to everything it does. A corporate baseball team is the kind of investment that shows up on the company bottom line in many different ways. You will see morale improve, absenteeism drop, and you will also see productivity go up. People love to play and watch baseball, and that can be a very strong incentive that you can use to improve your business. If you are looking for that special incentive that will boost revenue, then consider investing in a corporate baseball team. 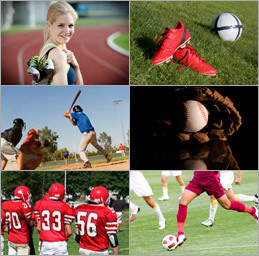 There are plenty of leagues in your immediate area to choose from and you can find a league that has rules which will allow your team to be competitive. Once you make a corporate baseball team part of the company culture, you will see a dramatic increase in everything positive in your office.